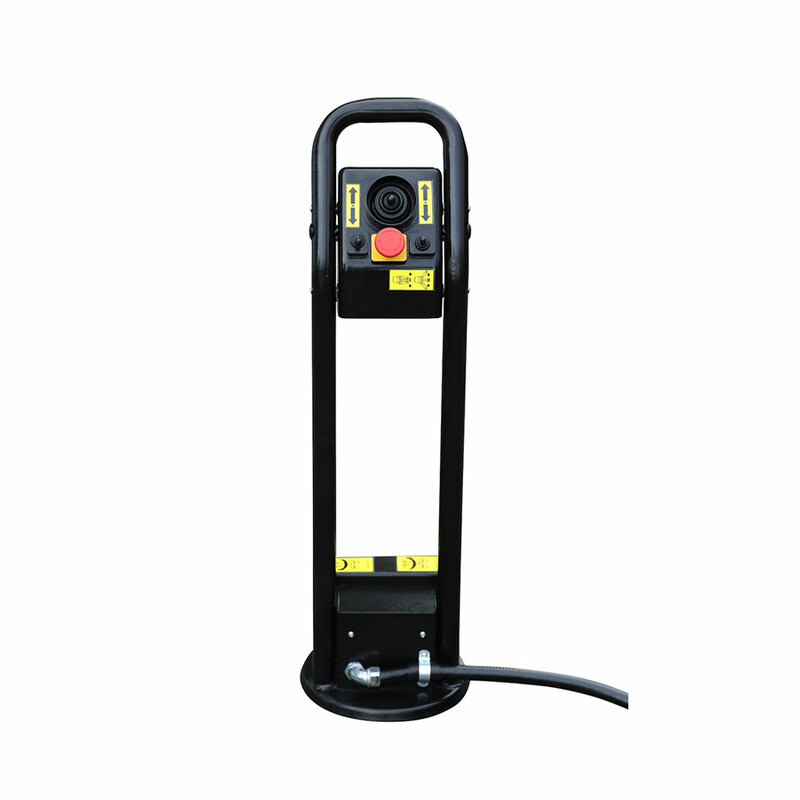 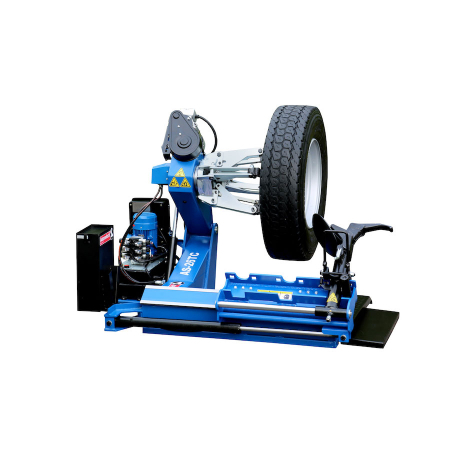 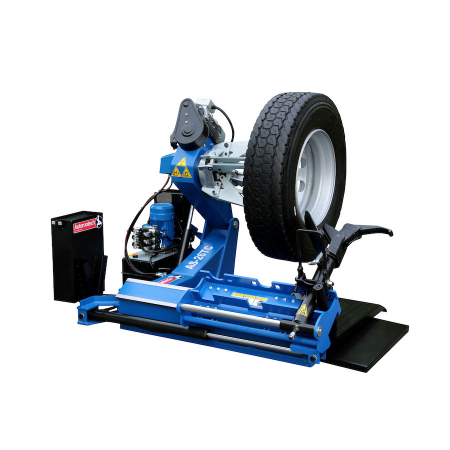 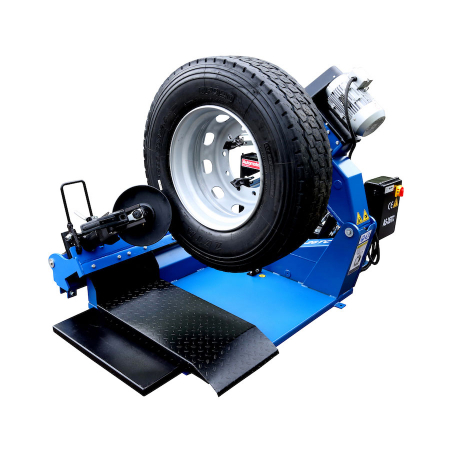 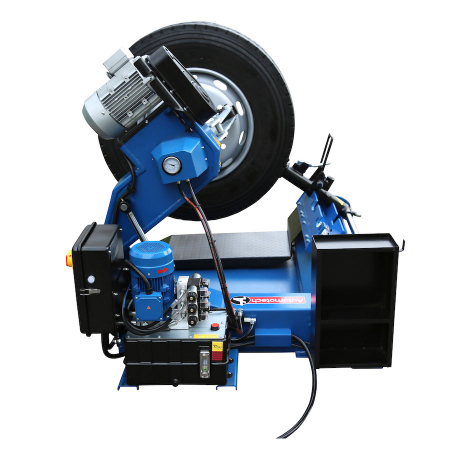 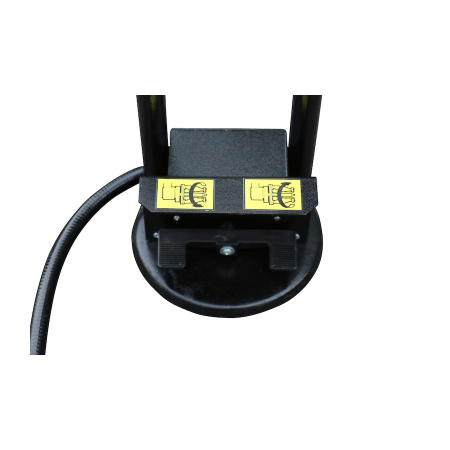 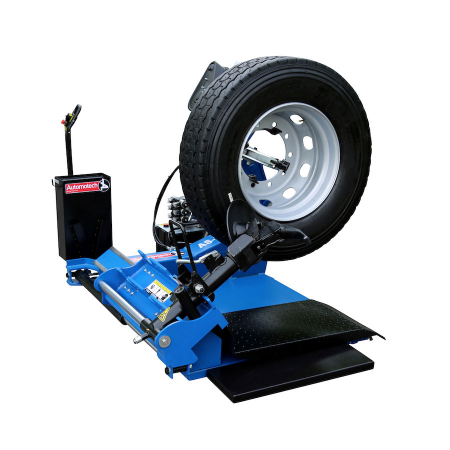 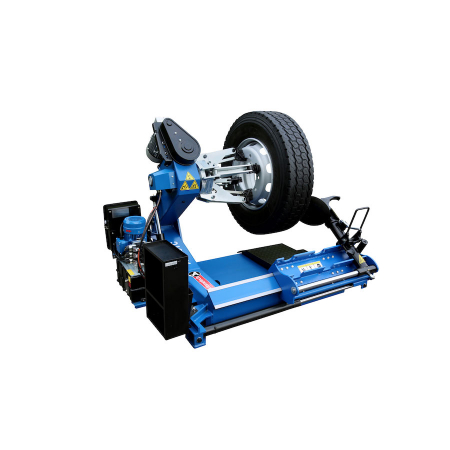 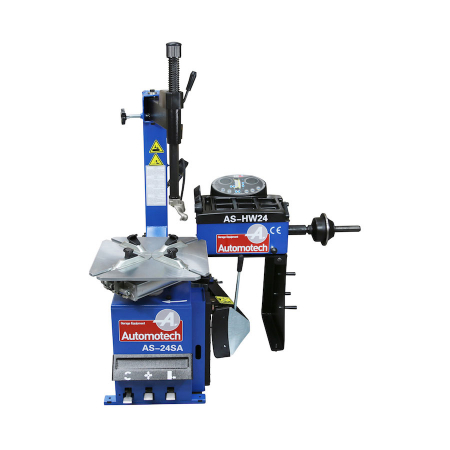 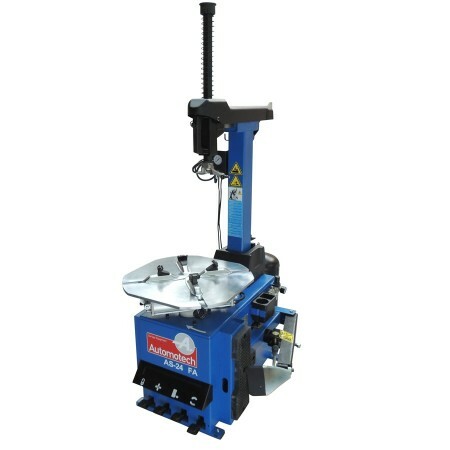 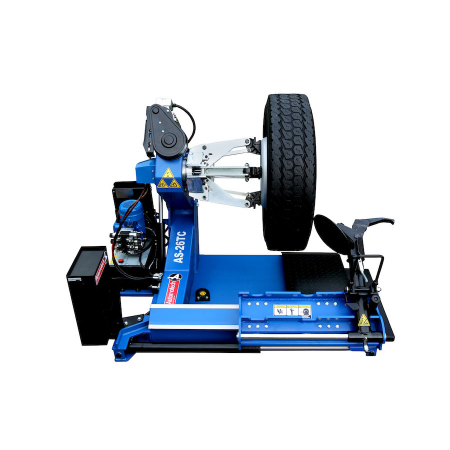 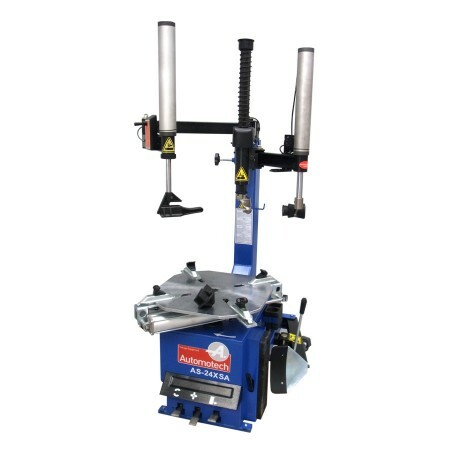 The Automotech AS-26TC Truck tyre changing machine makes light work of truck, bus and commercial vehicle tyres. 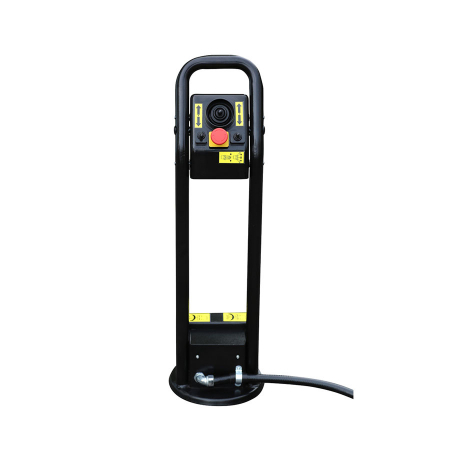 The quick and easy to operate remote control joystick gives the operator the added advantage to work in any position around the machine during its operation. 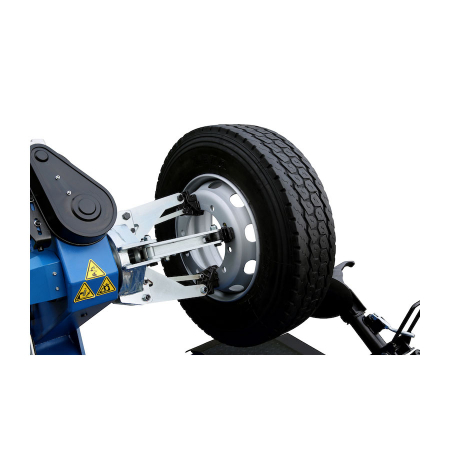 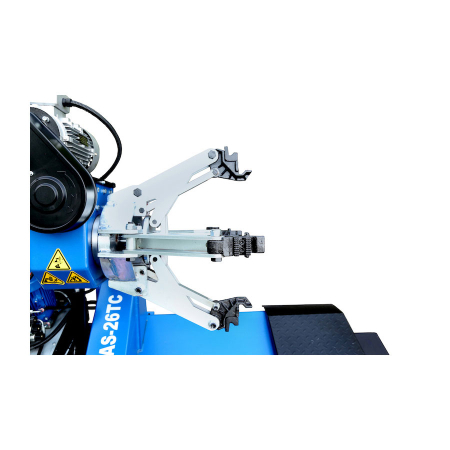 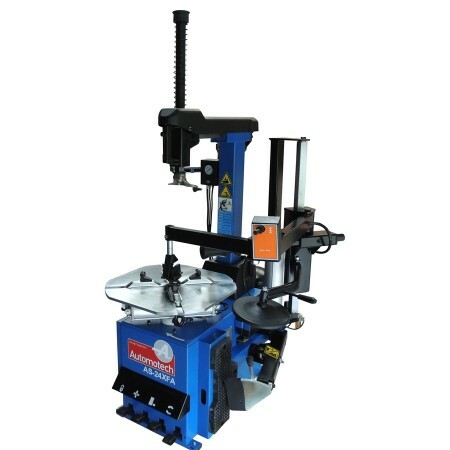 The hydraulic pick up arm and self-centring chuck eliminates any need to manually lift any tyres or wheels. 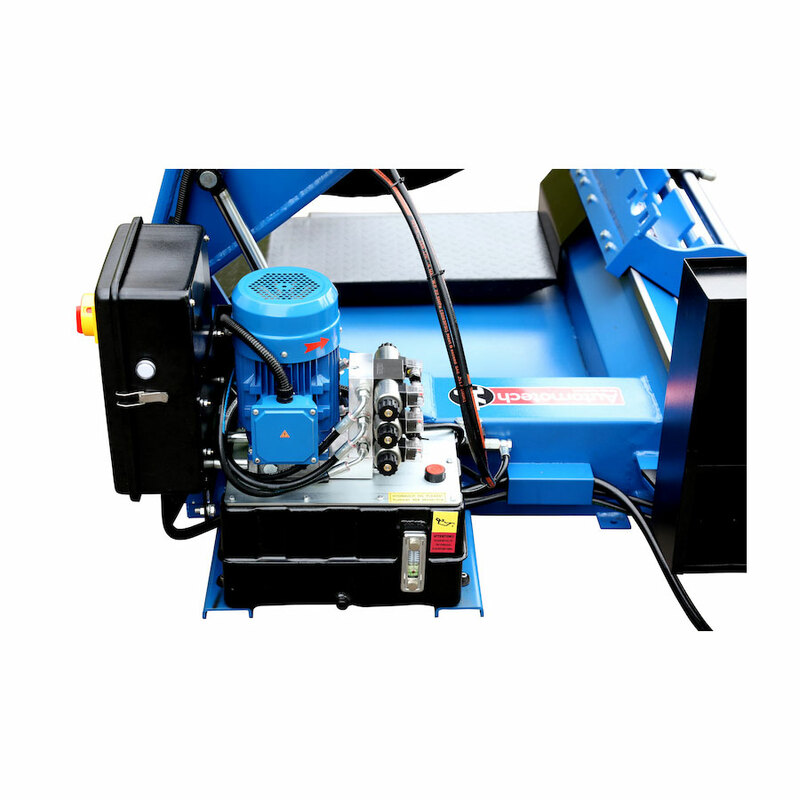 This heavy duty machine is a must for any serious operator. 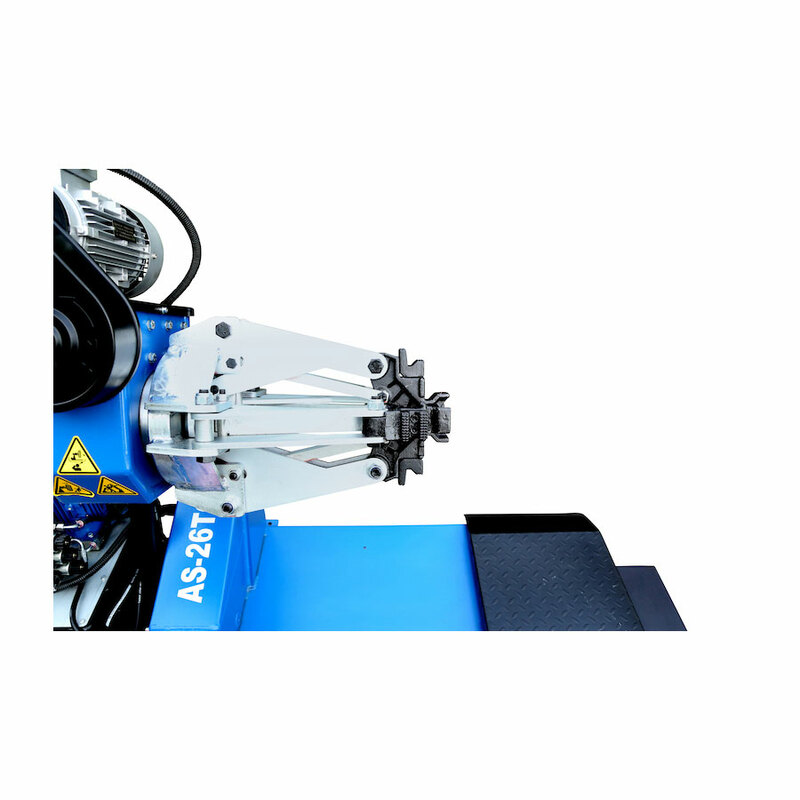 • Hydraulically operated clamping jaws, pick up arm and demount head.